This is a step by step guide on how to start a blog. It’s a comprehensive starter guide on how to start earning passive income on your spare time with little money. Blogging has become a great way to earn residual income. However, it does take a little effort. In addition, most blogs fail after the first year. The statistics are the same as traditional businesses where most fail after the first-year due to lack of effort and capital. A blog is basically an online subject matter expert business. People blog about everything and anything. The popular topics include parenting, food, fashion, lifestyle, gaming, fitness, and travel. There’s some bloggers who blog about history and insects. The topics are limitless when you know how to start a blog. We compiled a step-by-step guide on how to start a blog. It doesn’t take much capital and the majority of the capital will go to hosting services. The hosting services’ cost will range depending on the provider, extra add-ons, SSL, and other nuances. Firstly, you need to pick a niche. We would suggest a topic you’re passionate about, so you don’t get bored. It doesn’t have to be restricted to one time. There are bloggers out there who do food, beauty, lifestyle, and travel. It’s really easy to know how to start a blog. There are comedy blogs like Corporlish who interpret the true meaning behind the things people say. In addition, there are self-reflection blogs like 1 Year 12 Months 12 Trips 1 Per Month who give travel tips, quick lists, and life lessons from travel. Then there is us (i.e., Doyenist) who blog about ways to monetize your blog and social media accounts. The sky is the limit. Should I say? The bandwidth is limitless? Actually, no cause that will depend on your hosting service, so never mind. The blog or company name will be the name people associate with your business. It’s your brand or company. It’ll become your reputation. You and your blog, or company, name will become synonymous. After choosing your name, check if the domain address is available. If it’s not, another option would be to use acronyms. Domain registers provide a quick and easy way to check if your domain name is available. Domain.com is a great way to check and they’re always having sales. We have a deal with them for 18% off domain registry here. After checking your domain, I would suggest checking social media platform to see if the domain is available. It’s really important to have your domain and social media accounts names be the same. It provides an easy way to look up your blog’s social media accounts on Instagram, Facebook, Twitter, etc. You don’t want your readers following the wrong social media accounts thinking it’s you. If your blog name is available, then proceed to the next step. If not, start the process over until it’s available. The next step would be to register your domain name on the internet. I would register anything that’s similar to your chosen name then redirect the domain addresses to your main domain. Instagram, Twitter, and Pinterest will allow you to change your handle right away; however, Facebook requires 25 likes on the page and Google+ requires 10 followers to have a custom name. A good way to pick up ‘likes’ or followers is to ask your friends to ‘like’ or ‘follow’ the page, so you can secure the name on Facebook and Google+. A logo is a must have for a company. It’s not a necessity for a blog. However, I do recommend having a logo as it will represent your blog. It’ll become what people will associate your blog with when they see it. Frivver is a great market place for people looking for cheap graphic design. It’s made up of graphic designers looking for contract work. The prices are really affordable and it ranges from 20 to 60 USD. Check them out here. There are many CMS out there to choose from. But our guide to how to start a blog will help you choose which one is best. The three popular ones are WordPress, Joomla, and Drupal. I personally use WordPress and I highly recommend it. Plus, it’s free. It has a large ecosystem and there are ‘plug-ins’ for just about everything. I would compare WordPress’ ecosystem to Apple or Google’s respective app stores. In addition, WordPress powers 28% of the world’s websites. It’s an easy CMS to navigate and customize to your preference. Plus, the whole setup won’t cost you several thousand dollars to create because there are online stores that sell WordPress Themes for less than 50 USD. Trust me on that. I paid 5,000 USD for my first online website. It was pretty customized, but, as I reflect on it now, it wasn’t worth 5,000 USD. The crappy part was that it was built by a friend who just started his online website design business. He totally overcharged me for it. Lesson learned and passing it onto you. Hosting is very important to how to start a blog. The wrong hosting will make your traffic stink more than a pair of gym shorts. The right hosting will get you rank on Google and other search engines. WP Engine is hands down the best hosting service for WordPress. WP Engine’s server response time is second to none; however, it comes with a price. It’s really expensive but they have a library of information and knowledgeable customer service who don’t give generic answers. Check out their current deals here. SiteGround is a great hosting service to start with. They have amazing customer service, support tickets are answered within minutes, and resolved within a few hours. It’s not a temporary fix where the issues come back, but they actually resolve the issue. They have a user-friendly customer dashboard and they use cPanel like all other hosting services. They have some of the best server response times with their Shared Hosting plans. I have a few clients who I manged their websites. I convince them to switched from BlueHost to SiteGround and they all said their page loads were cut in half. I would HIGHLY recommend SiteGround to begin your blog with. Check out their current deals here. My site is hosted on InMotion’s VPS plan because I got frustrated with BlueHost Optimization for WordPress. I was having issues with BlueHost everyday. I switched to InMotion and I’m pretty happy with their customer service and page load speeds. InMotion’s server response time is 1/5 of BlueHost. However, they’re owned by the same company as BlueHost. I don’t think I would recommend them despite what other hosting review websites says about them. We have a special with them where you can get 60% off hosting and $5 USD for a domain name register. Check it out here. BlueHost is the most popular hosting services. It’s dirt cheap, comes with unlimited domain hosting (i.e., multiple websites), free domain, and costs about $3 a month. It’s a good place to start if you don’t expect too much traffic. It has an easy cPanel interface. It’s pretty easy to get up and running with their 1-click WordPress Installation. BlueHost Optimized Hosting for WordPress is their VPS plans tailored to WordPress websites. It’s supposed to be a lot better than their other plans. It’s definitely faster than their Cloud and Shared hosting; however, BlueHost configuration and server response time is terrible. With that said, I wouldn’t recommend starting your blog on BlueHost. My site was on BlueHost Shared Hosting then Optimized for WordPress. The load times were a joke and their customer service is a bigger joke. I’ve known multiple people who have used BlueHost and they all complain about their service. From their Live Chat to their server, they all had negative things to say about BlueHost. I think a good indication of their terrible service would be to check how fast their own website loads relative to other hosting companies. Check it out for yourself here. This is very important part of our guide on how to start a blog. Storage Space is really important when choosing a Hosting Service. Bluehost has “unlimited” store space, but it’s truly not unlimited. I’ve had clients who had to remove their pictures then replace their pictures with more web optimized pictures. In other words, pictures shouldn’t be more than 200kb for it to be web optimized. In addition, Google docks your website if your pictures aren’t optimized. The reason is because large picture files takes longer to load. It’s definitely something to consider. A great website to check out is png2jpg.com. If your picture format is png, they provide picture conversion and compression by the bulk. Photoshop is another option because they have an option to save your pictures for the web. Furthermore, WordPress, themes, and plug-ins create additional thumbnails, so one uploaded picture could result in 5-10 different copies on your server. Now, imagine if you have 2,000 pictures on your website. The used storage space could double or triple. In addition, I would go with a hosting plan with a large storage capacity. Actually, I strongly suggest it since it gives you breathing room. I wouldn’t want to delete files every month or so often. It’s a waste of time. Time should be spent on creating content! SSL is the HTTPS not HTTP. SSL has become another hot topic lately due to Google not loading sites that have shady SSL. However, Google does rank sites higher with SSL. I would recommend getting SSL on your web page before install WordPress. The reason for this is because converting from ‘http’ to ‘https’ is a pain. I would recommend starting your site with SSL instead of without it. The mentioned hosting services all have free SSL on most of their plans, so it’s easy to start with SSL. Site Lock is form of SSL. However, Site Lock and SSL cannot be used together. I learned that the hard way and I spent hours trying to fix the problem. It’s one or the other. I would go with SSL since it’s included on most hosting plans. Are you still here with me on how to start a blog? Good. A WordPress theme is nothing more than a website design. The good part about them is it’s easy to switch between themes. In addition, it’s really cheap too. I think I’ve bought close to 5-6 different themes then finally settle on my current one. I have a lot of recommended themes in my shop. Bateaux and Jupiter are multi-purpose themes where you could change themes if you get bored with your current theme. Both come with preset templates and all you have to do is switch the template then you have a completely different looking website. Themeforest the best place to get different themes for your self-hosted site. There are tons and tons of themes to choose from. I usually go there if I get bored with my current WordPress theme. Popular Plug-in compatibility? List to be provided below. WordPress is a fairly easy CMS to use. However, it takes a day to understand how it works. I would recommend fiddling with it for a good day to understand how a post, posts, categories, plug-ins, setting, appearance, sharing, and other options in it work. After that, it’ll be a breeze to use. To monetize or not to monetize? That is the question. As most blogs, it become expensive to maintain from the hosting service to time spent. The only way to offset those expenses is to monetize your blog. Affiliate marketing provides a cost-free way to advertising merchants’ products in exchange for commission. To Live And Dine® is a satirical food and travel blog. They have over 30k followers on Instagram and they donate 15% of To Live And Dine® branded product profits to charity. It’s definitely worth signing up with them because they offer referral fees for anyone you refer to their affiliate program. The referral fees are 5% of your referral’s sales. Check them out here. Share A Sale is definitely one of the better affiliate networks out. It has a lot of brands on it because of its merchant friendly fees. The user-interface is a outdated but it’s easy to navigate. In addition, they have an array of industries to promote, so it isn’t restrictive. Lastly, it has an option to add multiple marketing channels (i.e., websites) and all the websites use the same tracking code. It definitely makes it easier to manage for affiliates with different websites. The major positive about ShareASale is the ability to download a merchants’ catalog. Check them out here. LinkShare is another affiliate network. It’s probably one of the largest out there. It has the ability to add multiple websites; however, LinkShare separates them out with different pages, which could make it tedious to manage. In addition, its user-interface isn’t as friendly as other affiliates. They don’t have a data dump option for all merchants, so you will have to log onto the site then search for products to promote. They have an API, but API don’t work very well with slow and limited servers. LinkShare does have a lot of large brands on its network. Check them out here. CJ is another large affiliate network. They have all the brand names on its network. In addition, they have the best user interface and they make it really easy to search for promotions. They also have the ability to add multiple marketing channels and it’s easier to manage than LinkShare. For example, I want to promote product X. All I have to do is select the marketing channel then it creates an affiliate link for it. CJ does have a data dump option. However, it’s not available for all merchants. In addition, CJ’s search option doesn’t always load all the search results, which could be a pain. Check them out here. Amazon Associate is the most popular affiliate network. It’s the first network where all bloggers join when they first start blogging. They separate out their affiliate network into countries. It’s become tedious to sign up and manage all the different networks. However, Amazon is a worldwide brand and it’s a brand people trust. Check them out here. MailChimp is a great way to build a mailing list. It’s free up to a certain number of subscribers. The best thing about MailChimp is that it easily integrates into WordPress with a plug-in and an API. Check them out here. AWeber is another popular mailing list option. They’re a little more expensive than MailChimp, but they offer more options for their plans. I like their auto-responder option where it automates responses to people who initially sign up for your mailing list. It definitely saves time. Check them out here. Zoho offers email service for free. In other words, there’s no need to use your gmail or hotmail accounts for your blog or company. Yes. 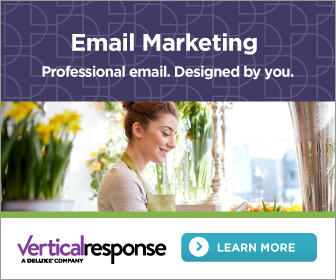 You could get an email address with yourname@yourblogorcompany.com for free up to 25 users. It’s awesome because they have an app too. Plus, it gives your blog, or company, a professional look. There are detail instructions and it’s very easy to set up. However, I would suggest setting up Zoho after you get your domain and hosting service up. Check them out here. Are you still with me here on how to start a blog? First and foremost, DO NOT use ‘admin’, your real name, or your personal email as your log-in username. Also, make sure your ‘Display Name’ is different from your username and make sure you hide any author links. Read our article on how to hide your author archive link here. Secondly, a strong password is really important and make a habit of changing it on a weekly basis. It’s a pain but it’s the only way to keep hackers on their toes. I had friends who made the mistake of using their personal email as their ‘Display Name’. They had to change it and ask Google to remove it from its search. It’s a pain. Sucuri is a good security plug-in. They have a free version where they hardened your back-end php files. PHP files are responsible for running your website and it’s the files hackers look to inject malicious code into them. In addition, they provide updates on failed, or successful, log-ins, post updates, and any changes on your site. I definitely use their free version on top of the other two security plug-ins. They have a premium version where it includes a 12-hour response time to clean up your hacked website. It’s a great option to have if you need it. However, the free version does a good job and it’s installed on over 300,000 self-hosted websites. Wordfence is a great security plug-in. They block IP addresses after a certain number of failed log-ins; in addition, they’ll block non-registered user names too. The best feature would be their Live Traffic. It’s pretty awesome cause I get to watch the hackers navigate my site and the files they used to try to get into my website. After watching their patterns, I use Wordfence’s blocking option to immediately block any visitor trying to access those pages. It’s a good security plug-in to use because the ability to block potential hackers. They have a premium version. It comes with an option to clean your site if it gets infected or hacked. In addition, they offer two-factor authentication, which is another layer of protection. I would totally recommend their service since their free plug-in has over a 1M downloads. MailChimp is the best free mass marketing email tool out right now. I used it to send weekly updates to my subscribers and social media management clients. This plug-in connects MailChimp to WordPress to collect subscribers. Visitors can sign up on your website and the plug-in adds it to your MailChimp mailing list. It’s awesome. Content Egg is really cool plug-in for affiliate marketers. They connect to your WordPress website to your affiliate networks and it automatically update promotions base on keywords. There’s a basic one that’s free through the WordPress.org Plug-in market, but it limits the affiliate network to one. I use the paid version. It’s only $36. I link all my affiliate networks with the paid version and it saves me a lot of time. It will auto-generate ads based on keywords related to my post. It’s a great tool. Check it out here. WooZone is absolutely necessary if you’re an Amazon Associate. It allows you to search Amazon for products to promote then it imports them directly into your WooCommerce store. It’s definitely worth the price for not manually adding 100s of Amazon products to your blog’s (or company’s) store. Furthermore, there’s a setting to update the prices and stock levels. The setting could be set hourly, daily, or weekly. Furthermore, it has an option to change the product description so the content isn’t the same as Amazon. Check it out here. This is a WordPress analytics tool. It was created by the WordPress owners – Automatic. It does similar things as Google Analytics but it’s not as robust as Google Analytics. It’s a great supplemental tool. In addition, it’ll notify you if your site is down or loading slowly. It’s the reason why one of my friends decided to leave BlueHost. In addition, they provide a number of services like WordPress back up. Check them out here. 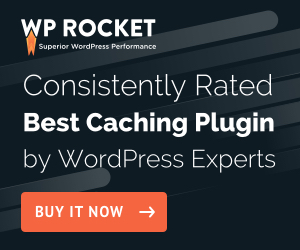 WP Rocket is easily the best caching plug-in on the market. It’s highly regarded in the WordPress community. However, it’s not free to use and it comes at $35. It’s a fairly cheap price, but it’s not practical for beginners. WP Cache is from Automattic. Automattic has a laundry list of plug-ins for WordPress and WP Cache is one of them. It works decently well and it’s free. It caches your page to load faster and there’s a setting how long cache pages are refreshed. It’s a great tool to have on top of Cloudflare (to be discuss later). W3 Total Cache is another popular cache plug-in. It’s considered one of the better free cache plug-ins on the market. The settings are freely easy to navigate with CDN, page cache, browser cache, etc. However, there are compatibility issues with some plug-ins and it takes some setting’s testing to determine whether it’s the right cache plug-in for your sight. For simplification, SEO is search engine results. In other words, it’s getting your content on the front page of Google/Bing/Yahoo/Baidu search results. Search engines are based on ‘keywords’ in your content and there are WordPress plug-ins to help with getting your content on the first page. Yoast SEO is one of the most popular SEO plug-ins on the market. It’s easy to use with explanations for each setting. In addition, there’s a ‘keyword’ focus section for posts, products, and pages. There’s a free version on the WordPress.org and there’s a premium version here. All In One SEO (AIOS) is another popular SEO plug-in on the market. AIOS’s settings are a lot more thorough than Yoast. They break down every part of your website and let you determine which option to focus on. In addition, like Yoast, they have a ‘keyword’ focus section for posts, but not for products and pages. Ultimate Shortcodes is a handy plug-in. It’ll add maps, galleries, tables, etc to your pages, posts, and products with a ‘shortcode’. It doesn’t require any coding knowledge, which makes it easy to use for people like me. Google ReCaptcha is a great way to spot spam. There are bots all over the internet commenting on your content and adding shady links to your content. In addition, there are hackers using bots to register on your websites. This could hurt your SEO rankings. However, Google ReCaptcha stops them in their tracks. Google ReCaptcha adds a layer of protection. It requires commenters and users to verify ‘their humanity’ by clicking an option then clicking on pictures. It’s a great tool. After implementing Google ReCaptcha, my spam is non-existent on my site. Akismet works similar to Google ReCaptcha. However, it’s based on calculations instead of pictures. It’s a great addition to Google ReCaptcha, but it doesn’t always work. I used Asikmet to supplement Google ReCaptcha. Contact Forms is a really simple plug-in to help with setting up contact forms on your website. The e-mail (i.e., contact us) page on every website, ya know? Yup. That’s it. It creates little shortcodes to paste on any page on your website. The best part? It’s free; however, it’s a resource hog when your page is loading for visitors. 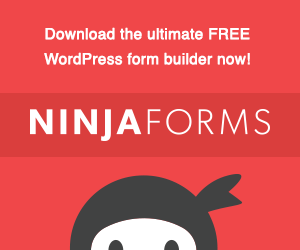 Ninja Forms is Contact Forms on steroids. It integrates with a lot of plug-ins; in addition, they have a really easy interface (i.e., drag and drop). I prefer it over Contact Forms because there’s a lot more features like “password” confirmation and criteria settings for certain input boxes. They have a premium option that includes a lot of automation. Check it out here. WP Smush is a great tool to compress your images in WordPress. It’s a really easy interface. They have an option to compress the images as they are uploaded into your gallery. In addition, there’s an additional option to run a compression for all your pictures; however, the compression is limited to 50 pictures for each run. The good news is they have a premium option with no limit here. This is the best eCommerce plug-in out there for WordPress. They have a massive ecosystem with all these amazing plug-ins to monetize your blog. I use a lot of their plug-ins especially payment gateways like Amazon Pay, Stripe (w/ Apple Pay), and Paypal. They provide a lot of free plug-ins along with their paid ones. Check them out here. There will be compatibility issues with themes and plug-ins. It’s one of the reasons why picking good plug-ins are essential for your website’s performance and look. I’ve had a lot of issues with plug-ins ‘breaking’ my website’s look. In addition, some plug-ins don’t play well with others. However, the mention plug-ins are pretty solid since they are widely used by the WordPress community. In addition, plug-ins and themes should always be kept up to date to ensure it’s compatible with the latest WordPress version and security patches. Plug-in’s biggest pain point is compatibility. The only way to check which plug-in is causing your theme or another plug-in to break is deactivating each one. It’s a pain point in WordPress. In addition, I would suggest installing plug-ins that don’t use too much server resources. It will slow down your website and your hosting company will throttle your website. Plug-ins slowdown your website. It’s as simple as that. However, it’s usually poorly coded plug-ins causing the slowdown. I would check the reviews on WordPress.org before installing a plug-in. In addition, I wouldn’t use any plug-ins that hasn’t been updated in a long time. Those are usually susceptible to security threats and they will break your website’s theme. I’m using about 35 plug-ins on this website. It has a decent load time (i.e., 1-3 seconds on average). In addition, I keep my theme and plug-ins up to date. However, the decent load time is definitely because I’m hosting InMotion’s VPS, a few CDN plug-ins, and Cloudflare. Cloudflare is a Content Delivery Network (CDN). A CDN is a network of servers to deliver websites to visitor based on location. It’s supposed to help improve website performance. Cloudlfare has become pretty popular as hosting company have incorporated their service in their hosting plans. However, Cloudflare shouldn’t determine your choice of hosting company because Cloudflare is free to use. Cloudflare does improve your website’s performance. I use their free account option and I can say they improve my website’s load times by a 2-3 seconds. Cloudflare’s biggest perk is it masks your DNS, so it protects your website from DNS attacks. Check them out here. Picture size is another reason why web pages are slow to load. Google recommends keeping the picture size under 100kb; however, 100kb is a tough task especially to bloggers who want to keep their picture resolution. Fortunately, there are awesome websites to compress the size of your pictures. PNG2JPG.com will convert your picture from PNG to JPG. In addition, they will compress it by at least 85%. It definitely saves a lot of space and helps with faster page loads. PNG2JPG.com allows 20 images to be compress at the same time, which saves a lot of time. Optimzilla.com will compress your JPG format pictures. It’s basically the same as PNG2JPG.com, but it’s made for JPG format pictures. The compress your images by 85% and allow 20 images to be compress at the same time. Google Analytics is a great way to track traffic. They have a section on ‘keywords’, bounce rates, page views, and many more. The UI isn’t the friendliest on the market; However, it’s still the best free option on the market and the easiest to install. It takes less than 2 minutes to get Google Analytics working on your site with a paste of some code. Don’t forget to exclude your IP address, so your numbers aren’t distorted. I’m sure you’ve heard ‘content is king’. The reason is because it’s true. I have never seen a blog with one post (i.e., article) or a company with one product attract traffic to their website. In addition, blog posts should contain 500 words or more. This is your website and it’s a reflection of your brand. It’s not a four sentence Yelp review, so don’t be that person. Most blogs and companies close shop after the first year. Bloggers get discourage because they don’t generate the traffic they hoped; companies don’t have enough funding to cover expenses. Lastly, enjoy yourself. If it starts to feel mundane and tedious, take a break for some inspiration. The sole purpose is to enjoy what you’re doing. If you’re not enjoying yourself, it’s going to be a long and disappointing ride. Lastly, plan ahead and enjoy yourself. That’s how to start a blog or business website! Check out our 2018 Best Blogging Platform Recommendations here. Check out our 5 Best/Popular Hosting Services for 2018 here. Check out our Best eCommerce Platforms Recommendations here. Previous Is It Fraudulent If Influencers Don’t Disclose Instagram Pods To Brands?